American officials recently provided the New York Times with a number of observations on Iran's military disposition toward Iraq during the ongoing 2014 Northern Iraq Offensive. This brief post will discuss some of these observations. Iran is directing surveillance drones over Iraq from an airfield in Baghdad and is secretly supplying Iraq with tons of military equipment, supplies and other assistance, American officials said. Tehran has also deployed an intelligence unit there to intercept communications, the officials said. The secret Iranian programs are part of a broader effort by Tehran to gather intelligence and help Prime Minister Nuri Kamal al-Maliki’s government in its struggle against Sunni militants with the Islamic State in Iraq and Syria. Gen. Qassim Suleimani, the head of Iran’s paramilitary Quds Force, has visited Iraq at least twice to help Iraqi military advisers plot strategy. And Iran has deployed about a dozen other Quds Force officers to advise Iraqi commanders, and help mobilize more than 2,000 Shiite militiamen from southern Iraq, American officials said. COMMENTARY: It can be said the current Syrian conflict, which the governments in Tehran, Damascus and Baghdad perceive as a linked conflagration, has provided the IRGC-QF as a valuable primer in its command, organizational and logistical approaches, as well as militia training efforts in assisting the Baghdad government. Iranian transport planes have also been making two daily flights of military equipment and supplies to Baghdad — 70 tons per flight — for Iraqi security forces. 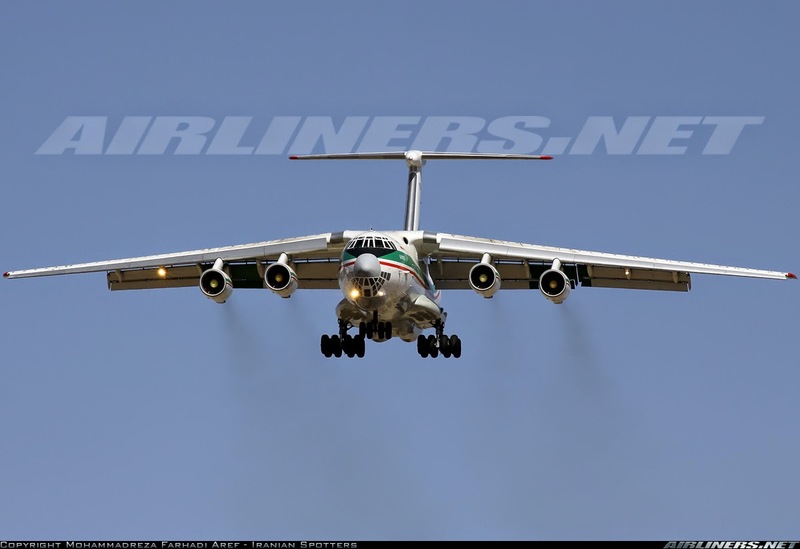 COMMENTARY: During the conflict in what the Iranians view as the Syrian theater of operations, logistical support flights have primarily been conducted through the use of Boeing 747 cargo aircraft and Ilyushin Il-76 multi-purpose four-engine strategic airlifters. Again, Iran's military air logistical support organization has been well served by its experiences in the Syrian conflict. 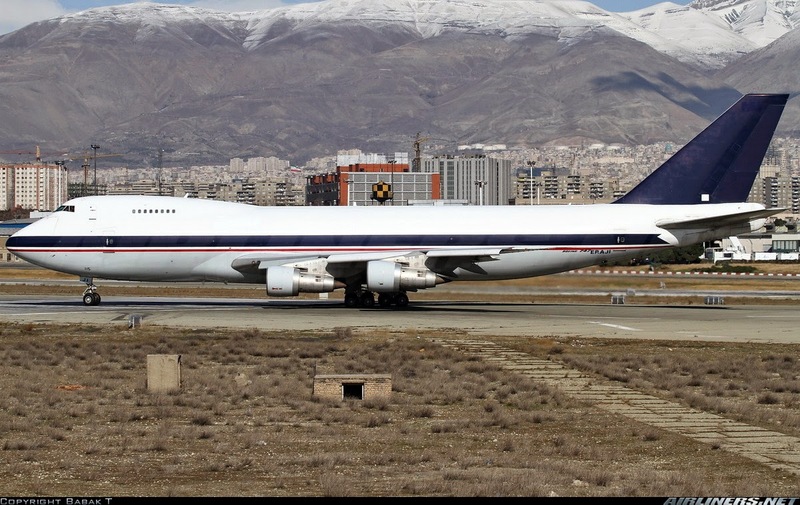 Iranian Boeing 747-2J9F, reg. EP-AJI (cn 21507/340) . This specific aircraft has been known to operate military logistical missions from Iran to Syria. Interestingly enough, this B747 appears to have been switched from a military serial to that of civilian registration for flights into Syria. There are also a number of Iranian operators of Boeing 747 type aircraft capable of running supplies to both Syria and Iraq. 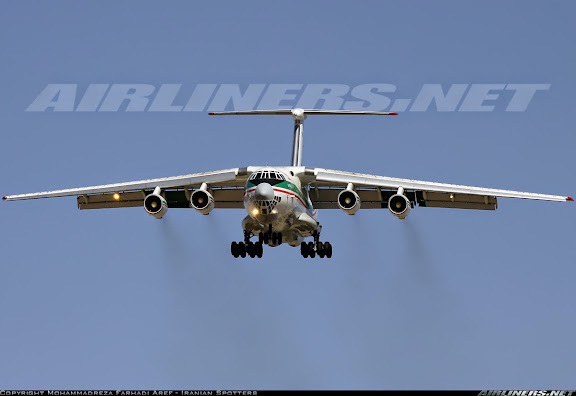 IRGC-AF Ilyushin Il-76TD, reg. 15-2284 (cn 0033448393). Likewise, there are a number of Iranian operators of this type capable of running supplies to both Syria and Iraq. The American and Iranian military moves are not coordinated, American officials said. Even though the United States and Iran both oppose the Islamic State in Iraq and Syria, known as ISIS, they are still competing for influence in Iraq and are backing opposing sides in the civil war in Syria. COMMENTARY: The very name of the terror group ISIS links the conflicts in Iraq and Syria. There has been a competing interest in Iraq between the United States and Iran since the onset of OIF. 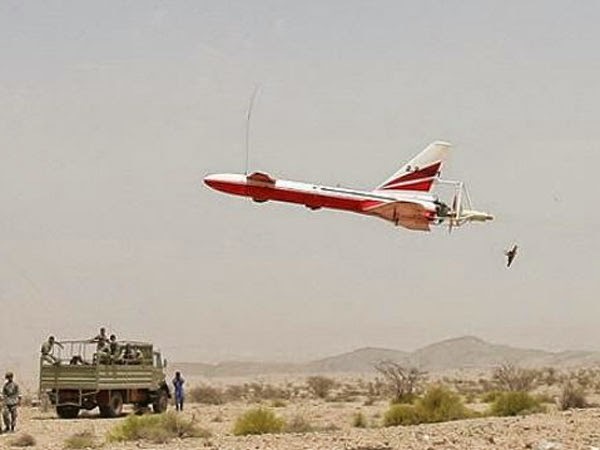 While it may appear that certain cultural, historical and regional ties favor Iran in this competition, and while the urgency of the current crisis might appear to favor Iran with its sway over Shia militia groups, it must be reckoned now or in the future the essential force in providing a military solution to this conflict is the heavy application of United States tactical airpower. in a role very much similar but anticpated to be even more effective than the initial phase of OEF. Iran has mounted a parallel effort, according to American officials. It has set up a special control center at Al Rashid airfield in Baghdad, and is flying its own small fleet of Ababil surveillance drones over Iraq, said one American official. An Iranian signals intelligence unit has been deployed at the same airfield to intercept electronic communications between ISIS fighters and commanders, said a second American official, who also declined to be named because he was discussing classified information. COMMENTARY: The Iranians possess a military electronics industry with a focus on SIGINT/COMINT. While not developed to the present extent, notable past successes include its application during the 2006 Lebanon War. Yet again, experiences in the current Syrian conflict serve Iran well for application during the 2014 Northern Iraq Offensive and presumed, future counter-offensive. While Iran has not sent large numbers of troops into Iraq, as many as 10 divisions of Iranian military and Quds Force troops are massed on the border, ready to come to Mr. Maliki’s aid if the Iraqi capital is imperiled or Shiite shrines in cities like Samarra are seriously threatened, American officials say. COMMENTARY: To a certain extent, the repositioning of Iranian ground forces should be considered a normal response to the level of threat that has emerged on its western border. It should be remembered Iran massed armed forces on its eastern border in 1998, with as many as 70,000 troops positioned near Afghanistan in countering the emerging threat and provocation from Taliban forces. In the event, Iranian ground forces didn't engage in offensive operations. Instead of invasion, posturing was reckoned sufficient. Iran's military has not been well rendered for application as a heavy, expeditionary fighting force. 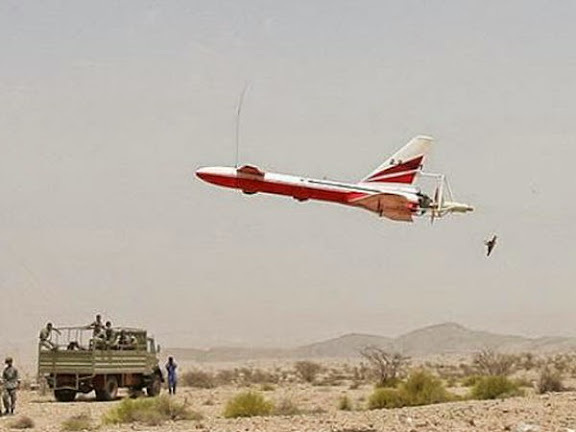 For years, defense priority has been given to weapons programs within a doctrine of deterrence, warding off would-be aggressors possessing superior stand-off stike forces. The American invasions of Afghanistan and Iraq prompted Iranian strategists to reorient their forces into countering an external military invasion and occupation. Subsequently, NEZAJA has been undertaking an organizational shift from division-sized units to brigades. The while, Iranian leadership has publicly admitted to a reduction in the defense budget, no doubt affected by sanctions. These identified factors and more have contributed toward Iran's selection of an economy of force doctrine being applied toward its intervention in the Syrian conflict. As such, notwithstanding a complete and utter failure of the Iraqi military situation in defending Baghdad, it may well be expected the Iranians will apply a similar level of economy of force in its intervention efforts for what they view as their Iraqi theater of operations. “Iran is likely to be playing somewhat of an overarching command role within the central Iraqi military apparatus, with an emphasis on maintaining cohesiveness in Baghdad and the Shia south and managing the reconstitution of Shia militias,” said Charles Lister, a visiting fellow at the Brookings Doha Center in Qatar. COMMENTARY: Among factors contributing towards Iran's leverage in Iraq is its influence upon Shia-Iraqi militias, preceding elements of which came to be as far back as the Iran-Iraq War, where Iraqi exiles and POWs provided the initial foundation for such (giving rise to a sense of Iran-Iraq War 2.0 for the current Iraqi crisis). That said, like their NDF counterparts and compatriot Shia militia experiences in Syria, these Iraqi armed groups do not possess the likely potential as a war-winning force for Iraq (and Iran). More likely they represent a stabilizing force, providing a much more modest potential for stalemate, and with that prospect, attrition warfare. Using the US-made Boeing 747 to ferry weapons makes it a legitimate military target. Well done, Islamic Republic! who dare to target Iran Boeing 747 ? Bbc is reporting that Obama is asking congress for 500 million to Train and arm 'moderate' and vetted opposition groups in syria. how dumb of the Americans. Don't they remember that the Mujahideen of Afghanistan were the same folks that were also trained and funded which ended up coming back and biting them in the As*. Regardless this is terrible news for Iran. Russia needs to support the Syrian iraq iran axis in order for the latter to continue status quo. Iran's strategy doesn't end where the article indicates. Iran has warned Saudi Arabia and especially Kuwait that the ISIS would be threat nr 1 to their Western monarchies. Kuwait has assigned one of its most senior officials to directly cooperate wit Iranians on how to counter ISIS. The Kuwaiti official has also convinced the Saudis about the ISIS threat and Kuwait and Saudi Arabia have created a response task group for monitoring the situation and preparing for any threat from ISIS. Kuwait has also forwarded Iran's message to Qatar and UAE on the fact that if any Shia holy places in Iraq or any Iranian city/village is attacked "security and safety experienced in Doha, Abu Dhabi and Dubai for decades will no longer be guaranteed from Iranian side". there's little risk for a first-rate military power in a war with Iran. Iran has no navy or air force and Iran can not project any military power. those 40,000 American troops in proximity to Iran are more than sufficient to enforce a naval and aerial blockade of Iran and to leisurely annihilate every single military installation in Iran and force the Iranian military into hiding. I can't imagine what you're thinking of. Iran couldn't do any better against US long-range weaponry than Iraq did.